The JS is the main contact point for the applicants, LP and project partners providing daily assistance during the preparation and implementation of projects. At the same time the JS assists the MA and the MC in performing their functions. Functions of the JS are carried out by the Ministry of Environmental Protection and Regional Development of the Republic of Latvia. The tasks of the JS can vary during the implementation cycle of the Programme and shall include (among other tasks): providing information to potential applicants about funding opportunities, as well as assisting applicants in preparation and project partners in implementation of projects; projects monitoring; involvement in the assessment of projects applications; providing information concerning the Programme and projects, and communicating Programme results in the Programme regions and on EU level. The JS office is based in Riga. It also has a branch office based in Vilnius, the tasks of which include providing information to potential applicants about funding opportunities, providing consultations to potential applicants in the preparation of project applications and project partners in implementation of projects; assisting in assessing project applications and latter in project monitoring; providing information concerning the Programme and projects and communicating Programme results in the Programme regions. The MC is a body responsible for ensuring quality and effectiveness of the Programme. Its duties are approving Programme implementation procedures, making substantial changes in Programme implementation procedures, reviewing Programme implementation and progress towards achieving its objectives, giving opinion on necessary changes in the Programme, selecting projects for funding as well as examining coordination with other financial instruments and policies. Members of the MC are representatives from national, regional or local level authorities and economic, social partners, representatives from civil society from Latvia and Lithuania. NAs are national bodies responsible for implementation of the Programme on behalf of the Member States. Functions of the NAs are carried out by the Ministry of the Interior of the Republic of Lithuania and the Ministry of Environmental Protection and Regional Development of the Republic of Latvia. 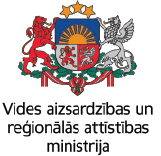 Bodies, established in Latvia and Lithuania to support work of the relevant NAs or/and members of the MC. They ensure wider participation of line ministries, regional or/and local authorities, economic, social partners and other stakeholders during the implementation period of the Programme. The MA is a body responsible for day to day sound financial and operational management of the Programme. The MA follows the progress of Programme in terms of achievement of its objectives, indicators, milestones, provides reports on the performance of the Programme to the European Commission as well as together with the Joint Secretariat performs project assessment. The MA based on the MC decision on project selection issues decision on project approval and financing, signs subsidy contract. The MA also fulfils certifying functions, thus it is responsible for the accuracy of expenditure statements and compliance of the eligible expenditures with the EU and national rules, makes payments to the project Lead partner (LP), draws up and submits requests to the EC for ERDF co-financing payments and receives payments from the EC. Functions of the MA are carried out by the Ministry of Environmental Protection and Regional Development of the Republic of Latvia. The AA is a body responsible for carrying out system audits to verify the effective functioning of the management and control system of the Programme, and for carrying out audits of operations on an appropriate sampling basis to verify correctness of the declared project expenditures. Functions of the AA are carried out by the Audit Department of the Ministry of Environmental Protection and Regional Development of the Republic of Latvia. A body assisting the AA in carrying out system audits and responsible for carrying out the audits of operations limited to the beneficiaries located in the territory of the respective Member State represented by the member(s) of the Group of Auditors. The Group of Auditors consists of the representatives of the AA – Audit Department of the Ministry of Environmental Protection and Regional Development of the Republic of Latvia and the Internal Audit Division of the Ministry of the Interior of the Republic of Lithuania. FC are bodies in Latvia and Lithuania responsible for verification on the basis of partner reports that the co-financed products and services have been delivered, expenditure declared by the project partners has been paid out and that it complies with applicable legal framework and the Programme. In Latvia FC is centralized and its functions are carried out by the Ministry of Environmental Protection and Regional Development of the Republic of Latvia.